Hurrah! 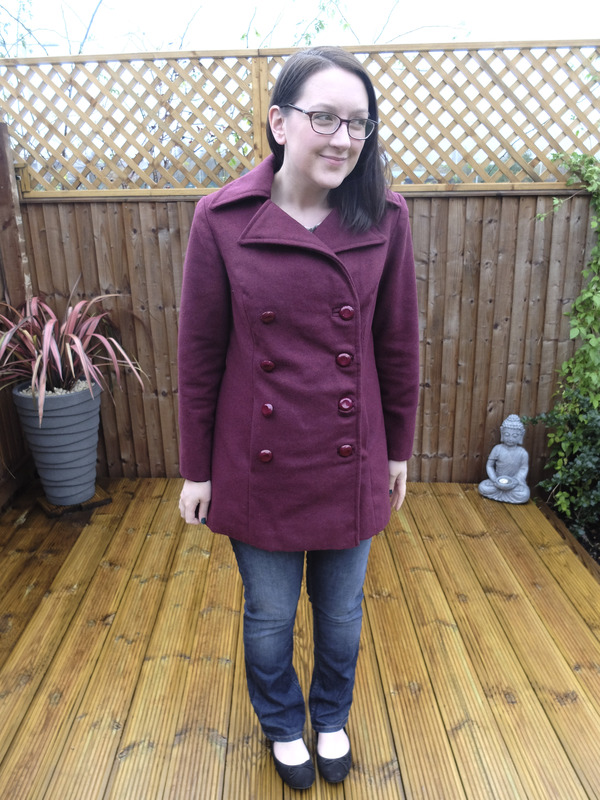 I’m happy to share my finished peacoat. 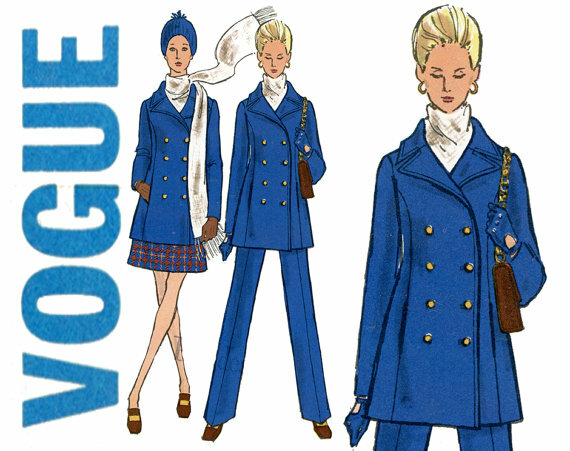 This is Vogue 7666, a vintage 70s jacket, trouser and skirt pattern that I got in a random bundle of patterns for £1.50 at a car boot sale. 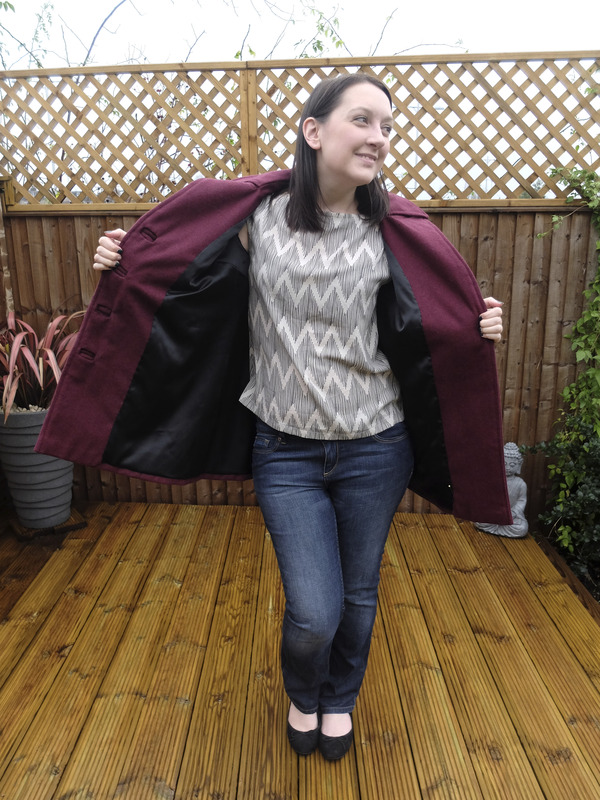 I wanted to join in the McCall’s peacoat sewalong that Rachel and the team at McCall’s were hosting on their blogs, but I wanted to sew this pattern so hopefully it still counts as taking part. 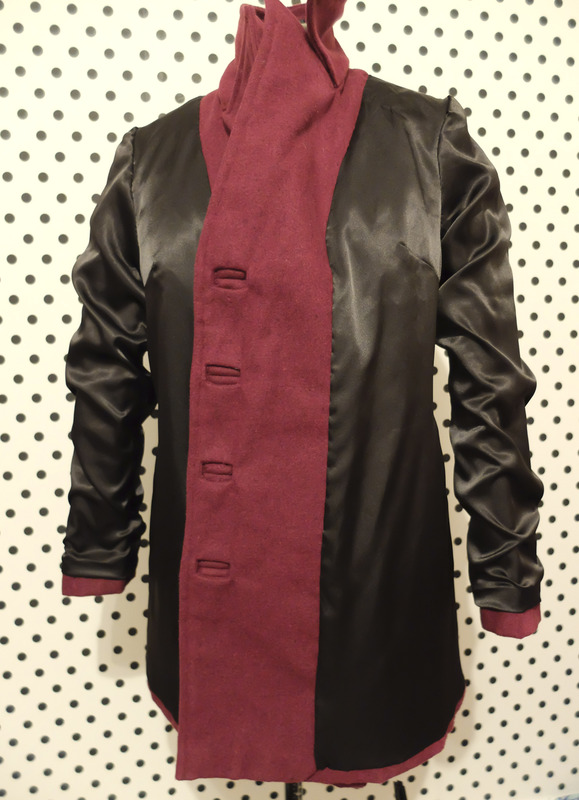 The coat was sewn over several weeks. 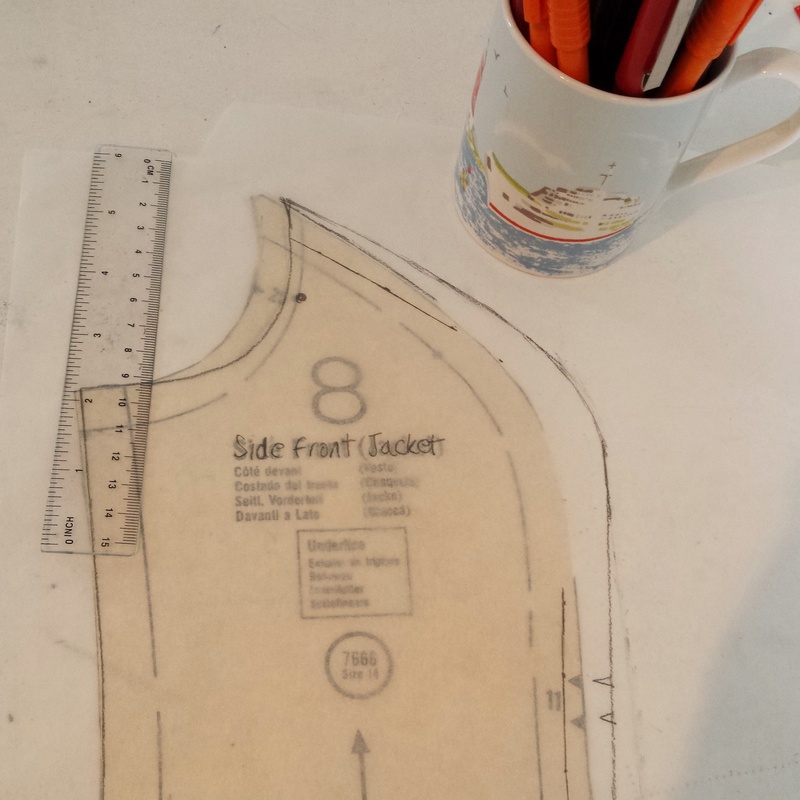 As always, I made a toile because I didn’t trust the pattern to fit out the packet. I used an old curtain and turns out I needed to adjust the princess seams, armholes and sleeve length. I am pretty happy with the adjustments but might have taken too much out of the hips and could have made the princess seams a little snugger. 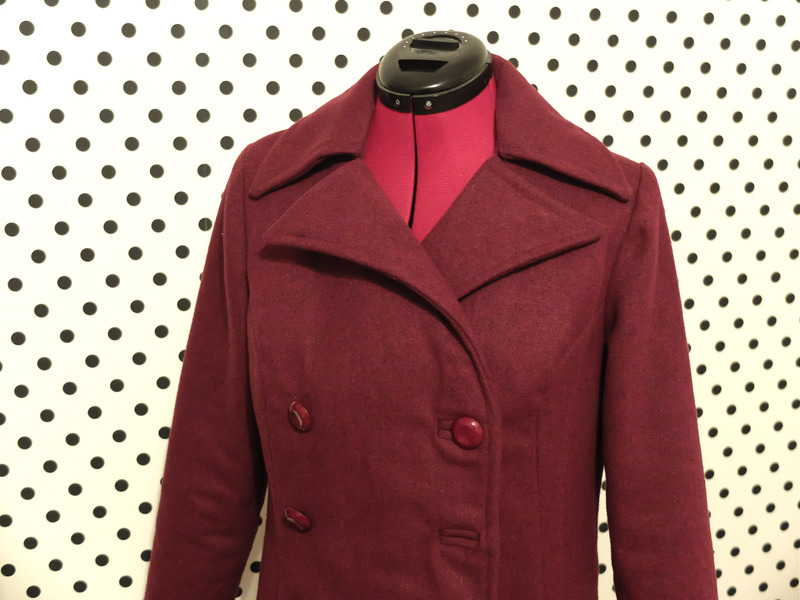 The outer jacket is made from a burgundy wool with tiny flecks of black and gold that are hard to see in the photos. It was £6 per metre from B&M Fabrics at Leeds market. The lining is black silk from a car boot sale too funnily enough. A woman was selling off her mother’s fabric stash and sold my mum a 2m piece for £1.50 which she gifted to me. A burn test proved it was actually silk. 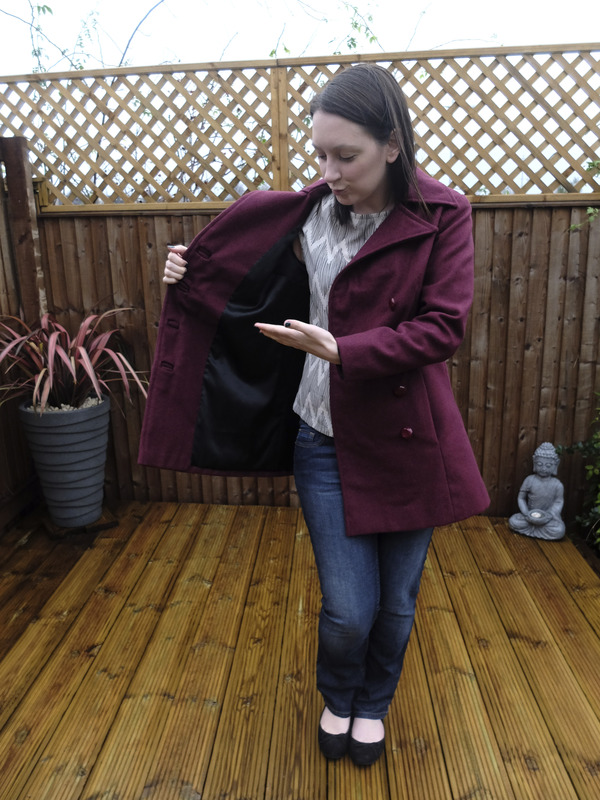 Lastly I have faceted burgundy buttons from Totally Buttons which were pretty expensive but really make the jacket for me so I don’t care. The jacket has some cool instructions for tailoring which made me happy. Each piece is underlining and the fronts, upper back and collar are reinforced with hair canvas. I pad stitched all the canvas and installed twill tape along the fold lines of the collar. The kicker is that while you can add bound buttonholes to the jacket you can only do it down one side. I would have much rather put bound buttonholes down both to make it truly double breasted but the facing doesn’t stretch far enough over. The lined vent is a nice touch and my home made shoulder padding worked a treat. What’s left to say! The jacket feels lovely and warm and I finished it just in time for the snow that’s threatening to land. I do wish the weather was better for photos. Makes me a bit sad to make a jacket I’m so proud of but can’t get good pics of it because of the lame weather. One thing I want to flag up if you didn’t know, is that this is the same pattern as Lauren’s ace plaid version which you can see here. 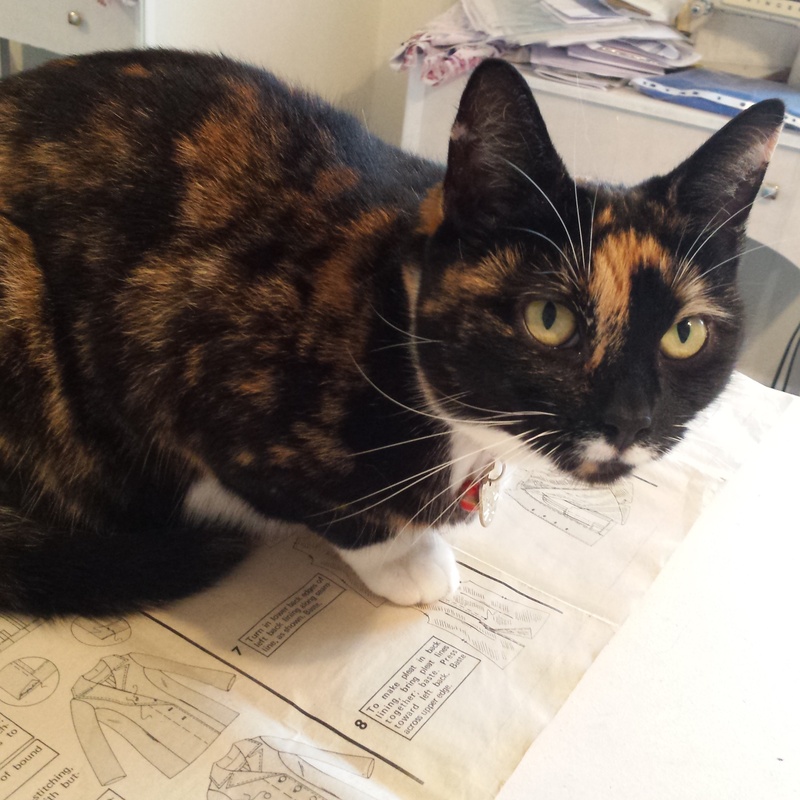 And here’s a bonus cat photo of Chewie blocking my view of the instructions. Love it, great colour and makes me want to make one! Oh wow that is truly amazing Amy, it looks so professional. You must be very chuffed, hope you get lots of wear out of it this winter! well done! You must be so chuffed with the achievement! This is gorgeous Amy! Beautiful work! I think the fit looks great. So nice to see a coat pattern with proper tailoring instructions included too! Your coat is gorgeous!! 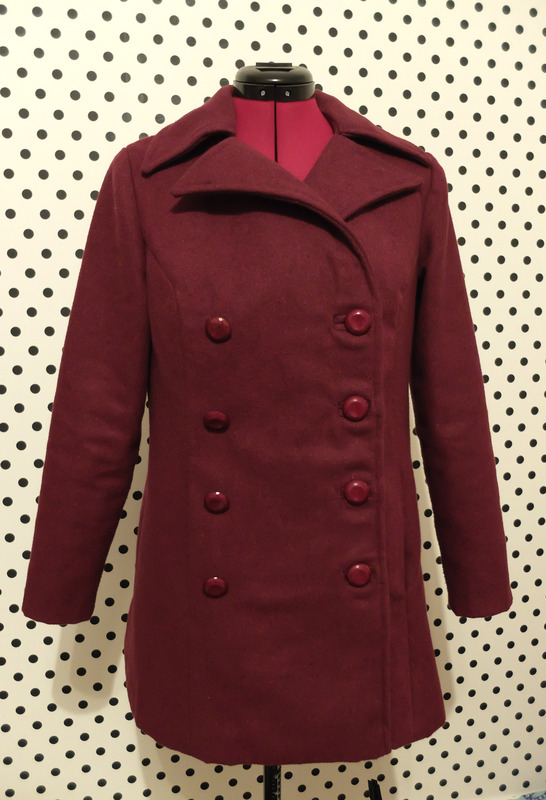 I love this style of coat, and the collar is fab. I can see your vision on two rows of bound buttonholes, that would have looks great. 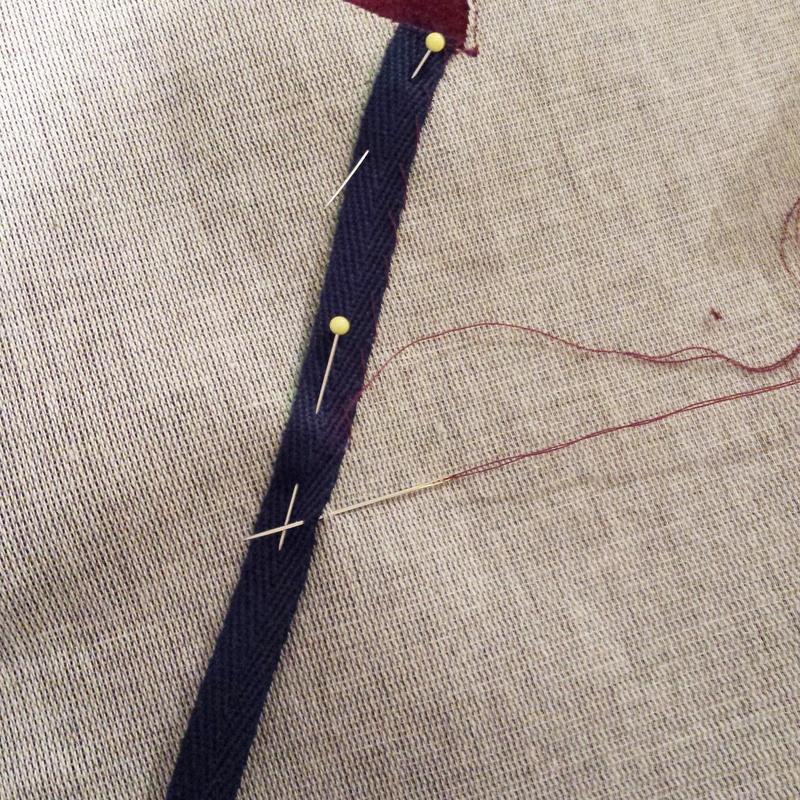 But your bound buttonholes are all kinds of brilliant. Happy wearing! This is gorgeous, and looks so cosy! The coat looks gorgeous. Love that you used an old curtain for the toile. Great idea. And I agree, buttons do make the jacket! This is so pretty! It really looks great on you! Love your jacket! If you have finished with the pattern I really would like to buy it from you. Please let me know.